Follow the guide to rip DVD The Walking Dead seasons (5/4/3/2/1) on PC/Mac for better storage and enjoyment with iPhone/iPad and Android devices. On October 12, 2014, season 5 premiere of The Walking Dead, AMC's zombie horror television series, was aired garnering 17.3 million viewers to become the most watched television cable show in history. Consisting of 16 episodes, The Walking Dead season 5 aired the 90-minute length finale on March 29, 2015 receiving a huge sucess on audience measurement (15.8 millions reviews in U.S.). 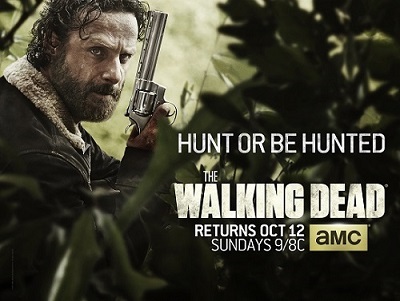 It is no doubt that loyal fans of The Walkiing Dead will get DVDs for a collection or review whenever. On the other hand, the problem of DVD discs preservation should be solved for they are so fragile to be easily scratched or broken and you will invovle in trouble of DVD playback on portable devices. Want to achieve better DVD storage and playback? This article suggests you to rip DVD The Walking Dead to MP4, AVI, WMV etc, or iPhone/iPad/Android on PC/Mac with a helpful DVD ripper. Rip DVD The Walking Dead Seasons/Episodes? Rip DVD The Walking Dead seasons (5/4/3/2/1), episodes to MP4, AVI, MOV, iPhone, iPad, Android etc, without hassle. A professional DVD ripper is in need to rip DVD The Walking Dead for enjoying all episodes of this amazing zombie TV series on portable devices with no hassle at all. WinX DVD Ripper Platinum, one of leading DVD ripper in the market, is capable of ripping any DVD to MP4, H264, AVI, WMV, MOV etc, and fashionable devices, like iPhone 6/6 Plus, iPad Air 2/Mini 3, Samsung Galaxy Note/S series, Google Nexus series, Kindle Fire, PS3/4, Xbox One/360 etc, at a very high speed. 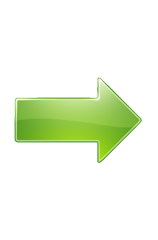 It is powerful on removing any copy-protections on latest released DVD movies and TV shows (e.g. The Hobbit: The Battle of the Five Armies, The Hunger Games: Mockingjay - Part 1, Big Hero 6) and deliver possible highest audio/video quality. Moreover, it is available to copy/backup DVD to ISO, VIDEO_TS folder and a single MPEG2 file at 1:1 ratio. Step 1. 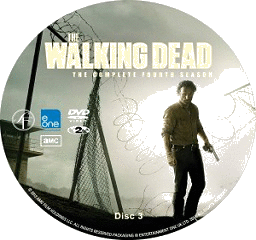 Insert DVD of The Walking Dead season (5/4/3/2/1) into DVD-ROM on your computer and click DVD Disc button to import DVD source to WinX DVD Ripper Platinum. Instead, you can take ISO image or DVD folder as resource. Step 2. Output Profile window will pop up for output format selection and main title will be automatically checked once all contents are loaded. 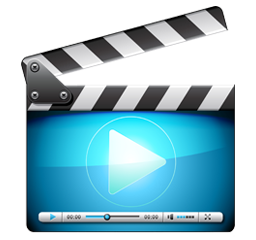 Move to Apple Device – to iPhone Video – iPhone 6, Plus (MPEG4/H264). Step 3. Save the ripped TV series to destination folder if necessary and click RUN button to rip DVD The Walking Dead. Tip: You also can adjust audio/video parameters depending on your own needs as well as edit video by trimming, cropping, merging episodes or enable/disable subtitles, add external subtitles with WinX DVD Ripper Platinum. Notice: Digiarty Software does not advocate ripping copy-protected DVDs for any commercial purpose and suggests referring to follow DVD copyright law in your country before ripping DVD The Walking Dead. The Walking Dead, an American zombie-apocalyptic horror TV series on basis of the same name comic book series, tells the story that Rick Grimes met survivors of a small group on the way to find his missed family and led the group to struggle to survive in the world overrun by zombies. Rip The Walking Dead seasons (5/4/3/2/1) full episodes and any other popular TV shows/movies DVD to MP4, H264, AVI, WMV, MOV, iPhone/iPad/Android/PS3/4/Xbox and 1:1 clone DVD to ISO/folder, backup main/full title to single MPEG2 file in a simple and fast way.